When a friend of mine saw this fabric at an estate sale, she thought of me. It is so cool, with velvety flowers and vines scrolling this sturdy creme upholstery fabric. 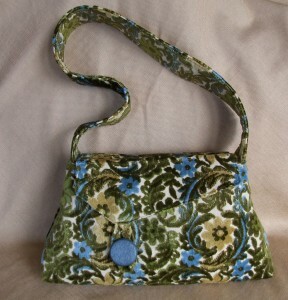 I made this purse out of it for another friend of mine, with a fun big blue button closure.